Don't know much about him either but i just got pretty excited. Perez might give him good amount of power and we could see some interesting sht happen re transfers and playing style. Welp, it has finally been announced. Odd timing that might throw off the NT (on the other hand the RM players may up their game to impress the new boss), but it is out there and I think Perez and co. made the right decision. So now that we know, how do you guys think we will line up under Lopetegui? For starters Deez, we could assume with some legit certainty that Isco is gonna join Ramos and Ronaldo as an untouchable. Julen loves him and I would safely say adores his talent so he is Isco in the starting 11 is a shoe in, probably. Yeah so Bale may actually be someone who may be surplus to requirement if Julen still thinks that way (hopefully not). I don't think they'll be much changes in the starting 11. The back 4 is gonna be the same, Ronaldo is still gonna be our go to scorer, Modric & Kroos are gonna be our 2 central midfielders. Only Isco's and Bale's position in the team would be having a dramatic change. How we'll play would be most interesting to see (if he can pull it off). We are not really designed to play that sort of possession football. We've tried and we just look like that kid on FIFA that just passes the ball side to side without any real aim so this should be fun...ish. Great news! He's the best candidate available. This means Isco is going to finally play in his favorite position and the BBC is going to be dismantled. I wouldn't mind Ronaldo staying, but Benzema and Bale need to get the hell out. Or at least, only come off from the bench. They would actually make great bench players. Interesting... if he plays possession football, Ronaldo won't fit. Neither will Bale. Benz may thrive actually. That said, I don't expect much success. There's plan A... and then there's more plan A. That's how he (and Barca for that matter) work. There's no counter or adjustment. So either we build a dominant side that has a talent advantage over everyone or trophies are going to be difficult to come by as we won't beat Barca (or City for that matter) at their own game. I don't feel like he plays strictly possession football. From what I have seen with Spain, they work hard to counter-press and regain possession as quickly as possible when they lose it, but his style of play is much more variable and direct. Can't predict any transfers out, but I'd imagine Lopetegui would be more in favor of bringing in De Gea than ZZ was. Or at least Kepa as #2. He plays the style of Spain NT from youth level up... that was copied off of Barca. That's what they do. They press and tiki taka. No Spain NT, and he's been involved at several youth levels, play differently. Flo needs to get him some guys who fit or he's setting him up to fail... and kids aren't going to work. On the very bright side, Isco will become extremely good and Benz may actually resurrect himself in this type of system. In fact, all the Spanish players should love it. The other side is Kroos, Casemiro, CR and Bale. Kroos may adapt... but the others are going to have a tough time. I'm actually excited to see what he can do. Tired of the same old thing. I wish him enormous success obviously... how the heck did Vallejo make the WC squad btw lol. He had Casemiro at Porto so i think he will make it work, and back then, he had thiago neves playing at like 18 at CM next to him (keep an eye on him to come if we sell Kovacic, mendes player too). I think most of our players will fit into his tactical plan, we have a lot of high IQ players. CR is the only one who doesnt fit, but he will have to adapt. That's why he is paid millions. @sportsczy wrote: Interesting... if he plays possession football, Ronaldo won't fit. Neither will Bale. Benz may thrive actually. You make it sound as if Benzema's excelled at keeping possession in recent years. Apart from his inability to score, he's often been a turnover machine. From what I can tell, his issues are either psychological or psychological. A change of tactics isn't going to change that. CR isn't adapting to anything... you and I both know that. Lopotegui has to sell him on his system and CR has to feel that it fits into his career plan. Otherwise, we need to sell CR asap. I really hope Spain lose in the WC quickly lol. He needs to the summer to prepare. BUT, if Spain flop, all Madrid will hate him without even a ball being kicked. I'm nervous about next year. @thimmy... his issue is movement off the ball. Benz floats. He does really well in the 1-2s and quick passing. I think he can become very useful in such a system. Since we're not signing another CF imo, I have to keep some hope alive ffs. spanish federation is all kinds of mad. it all happened behind their back. apparently madrid players knew, another player found out (who is the taupe?) and madrid released the communique to be on the safe side. And just to add more caution to the wind... he got fired after a year and a half at Porto and they won nothing during his tenure. Club football is very different from NT football... I'm worried. But then again, he's better than Conte, Michael or Guti. Much better. So I'm happy that we got him given the alternatives. Just not expecting a lot. It'd be nice to see Bale get kicked to the curb, bump on the head with suitcase included. In regards to how we play, i don't think we will see anything "extreme" similar to how Pep rekt Bayern lol. This club is against tiki taki bullsh*t and it is part of our heritage to play attacking, winning football (as non specified as that sounds), and that's what i think Lopetegui should have in mind, the details are up to him. 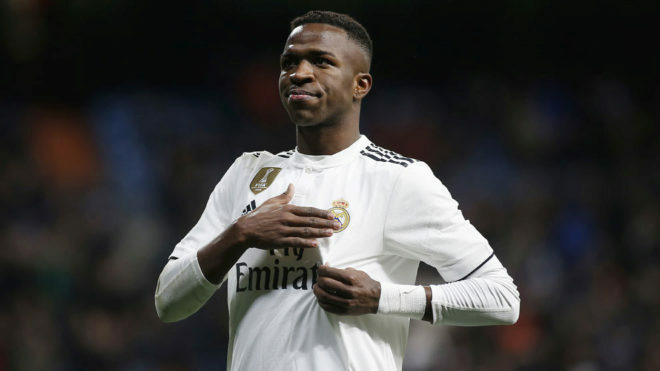 It will be interesting to see if this signing will have more macro significance on a club level in regards to "spanishalization" and what that may entail, and one of the the biggest issues is of course how Lopetegui will balance what the team needs with what Ronaldo needs. Of the options who had won things? No one is going to be able to match the level of recent success on their resume. For Lopetegui, he has shown good man management skills, winning over the Spanish core of our team- Ramos, Isco, Carvajal in particular, he is good with the press, has a connection to RM- came through the youth ranks and was around the first team (made 1 appearance in 3 seasons but at least is aware of the atmosphere), and has coached the B team. With the eye test we can see he has potential, and has already produced quality football at a high level, but we will have to wait and see if that all translates to RM club form. We had the same hesitations with Zidane, and I am not saying it will turn out the same way but all we can do at the current moment is trust that Perez and co. have gone with the right decision. They have done pretty well in recent history. Also the quote on Bale from 2015 is supposedly a fake (unfortunately). The fantastic thing about this hire is that we SHOULD play with style... win or lose, we will be fun to watch. That in itself is worth the price of admission. I'd rather win... but we're getting older. So unless we make some pretty big changes, it's not going to be an easy year. @sportsczy wrote: The fantastic thing about this hire is that we SHOULD play with style... win or lose, we will be fun to watch. That in itself is worth the price of admission. That is what I really want honestly, I would like us to be fun to watch. We are gonna go through patchy moments, after such a legendary run of trophies, it's just natural. So for the very least, till we win big again, I hope we play great football. Now if we continue beating all and sundry in Europe while playing a more aesthetically pleasing style of football, I'm gonna go on a serious anti-Pep rampage like no other. Hope Perez fully supports Lopetegui with power considering what Julen has had to pay for this.